“I can not say enough good things about the work Cary and Snap In Media have done for DevelopIntelligence. When we first got engaged, we were floundering, hidden in the noise of search results. But with Snap In Media's, guidance..."
Snap In Media, a local web design and SEO company in Fort Collins, Colorado, is taking new clients! With so much information being viewed and shared online, let us help you gain more customers and share more with them by using online mediums like Facebook and internet marketing to promote your business. While you may be familiar with Facebook and Twitter as a way to share information with customers and potential customers, there are many other ways you can get your business name out there using the internet. If you don’t have a website, you may not realize just how much it can do to build a relationship with your customer base. A website that is optimized for your customers can bring in more leads who are interested in your company or services. Snap In Media specializes in SEO, or search engine optimization, which is the best way you can get your business noticed online. 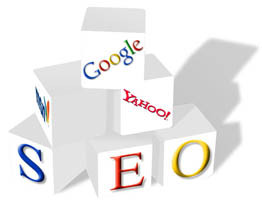 SEO is focused on optimizing your site for the search engines like Google and Yahoo. When your site is optimized well, you can rank higher in the search engine results, which means that more people will find your business first online. Aside from SEO, Snap In Media provides many other online services. Not only can we optimize a site you already have, but we can design you a new one! 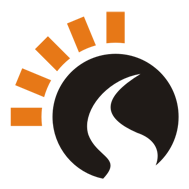 Snap In Media has a team of web designers who can bring your brand and your business to online users by creating an attractive and easy-to-navigate website to promote your company name. Social media is everywhere today, and people all over the world use it to communicate about a variety of different topics, including local businesses they support. If you want to promote your business using social media like Twitter or Facebook, Snap In Media can help you get started! Snap In Media began in 2007 and has grown over the past few years to specialize in even more online services than ever before. Whether you are looking to have a website created, get your website ranking better in online searches, or even if you just need hosting services for your site, Snap In Media provides the online solutions you need for your business. Being a locally owned and operated business, you can trust us with all your online needs. For more information about Snap In Media, visit SnapInMedia.com or contact us by email at info(at)snapinmedia(dot)com.